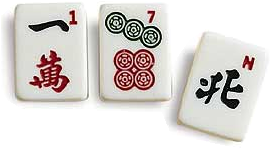 Mah Jongg is a fascinating rummy-like game played with tiles. The game originated in China and gained popularity in the U.S. in the 1920s. Are you familiar with the game? 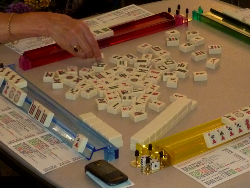 Join our Mah Jongg Club on Wednesdays from 11:30 a.m. to 2:00 p.m. Registration is required. If you are interested in joining the group, please email Pam Harter at chinexus34@gmail.com or call the Library at (610) 374-2385.